Valve has officially announced their own SteamOS operating systems based on the Linux OS with big screen integrated for a whole new gaming experience. The new SteamOS is one of the three announcements that VALVE is going to announce over this week. Probably the best thing about the announcement is that the SteamOS would be available to gamers for free. 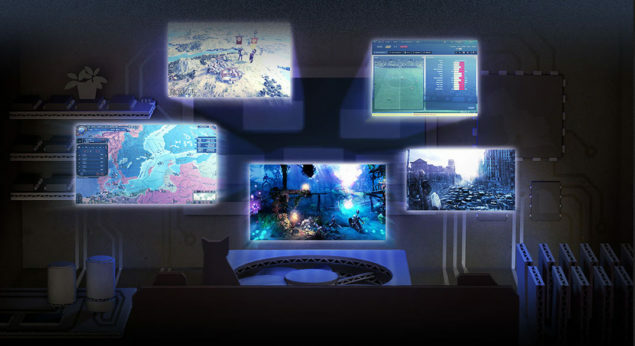 There are several features that make SteamOS stand tall against other competitors which includes the never ending library of Steam games, developers optimizing experiences for SteamOS and Valve exclusive titles based on Source Engine and four great features which include the ability to stream games on large screen TVs from a Windows or Mac OS through your SteamOS machine. Four new Steam features focused on the living room. Available soon in both SteamOS and the Steam client.